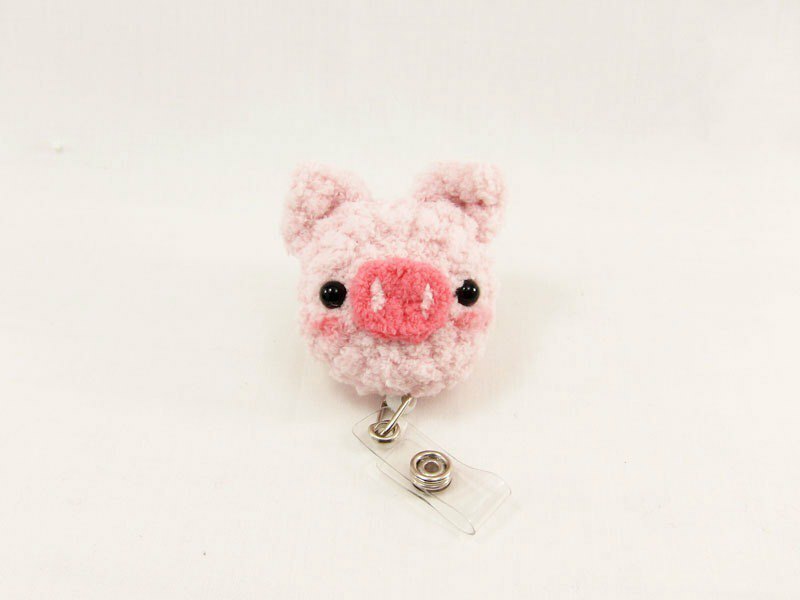 Product desciption ☆ Knit and retractable clips are made of soft acrylic yarn and are hand-woven. ☆ All products are original design and production. ☆ General telescopic holders can be replaced and cleaned. ☆ The clip on the back of the telescopic clip can be clipped on the bag. ☆ You can also add a key ring (non-removable) or leather rope (detachable). (2 choices 1) https://i.pinimg.com/originals/91/b1/53/91b153da4ab255b4511f63f0e032ce72.jpg https://i.pinimg.com/originals/e0/ba/9b/e0ba9b9c087d34d10f7384d68ea10826.jpg ☆ Other styles can be made by letter to ask for making, color and facial expression can be freely collocated. https://www.pinkoi.com/store/funmay?subcategory=220 (Tickets other shapes) https://www.pinkoi.com/store/funmay?subcategory=806 (Box plus purchase) The goods are ordered, the production time is about 3 days (excluding holiday and delivery time) Because of the crocheting, it takes time, thank you for waiting. In case of special holidays, please order early! ☆Every commodity is handmade, so there will be slight differences. There is no way that every one is the same. This is a normal phenomenon of handcrafting. It also appears that each product is unique, please consider clearly and then place orders. What may happen: ※ Product size error range 0.5cm-1cm ※ product color difference size Without ears about 5x5cm Materials Acrylic yarn, nylon cord retractable ticket Maintenance method After the neutral lotion is washed by hand, dry it with a dry towel and dry it in a cool place.